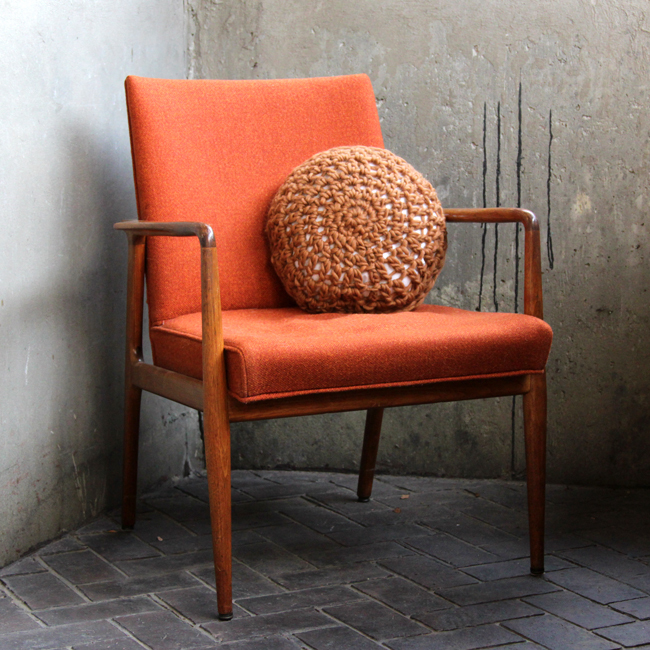 What makes this unusual knit item so special isn’t just its handmade and vintage status. 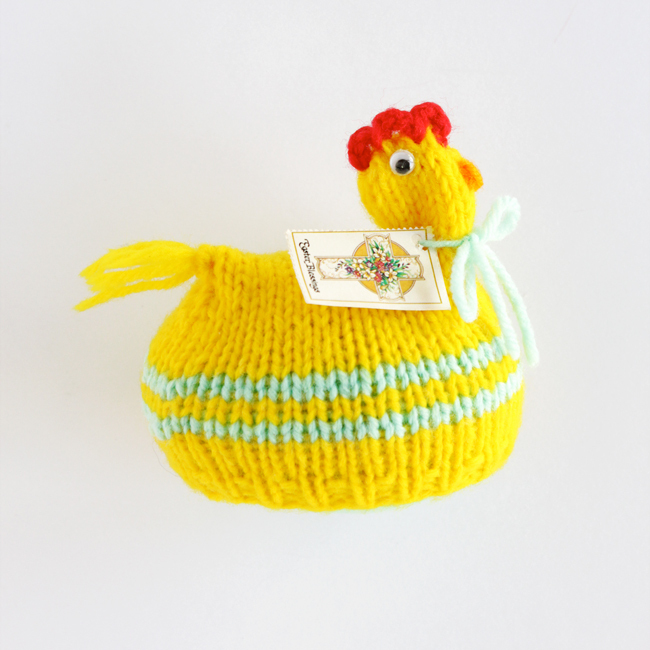 It’s a nice reminder about the value of handmade gifts – even ones as random as a chicken-shaped egg cozy! 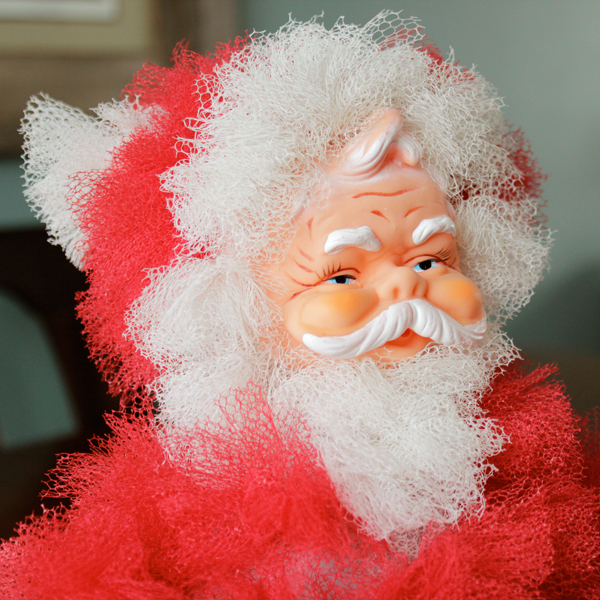 Upcycle an old bleach bottle into a mini Santa, midcentury style! 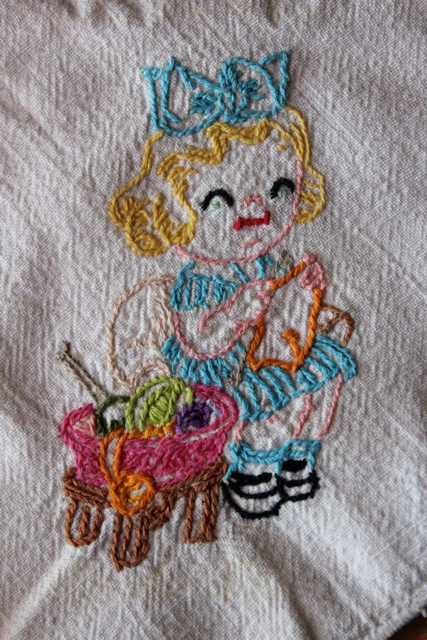 In high school, my mom embroidered a sweet little knitting girl motif to spruce up this otherwise-plain dish towel.